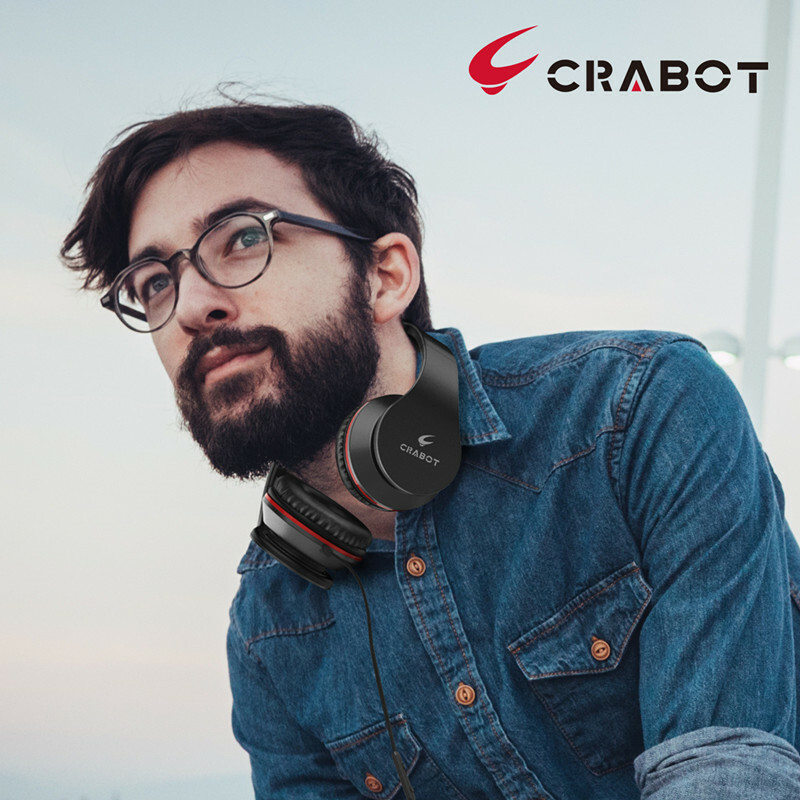 Bass and Stereo Sound: With two high-quality 40mm drivers, you can hear the HD sound and feel the strong, deep bass. 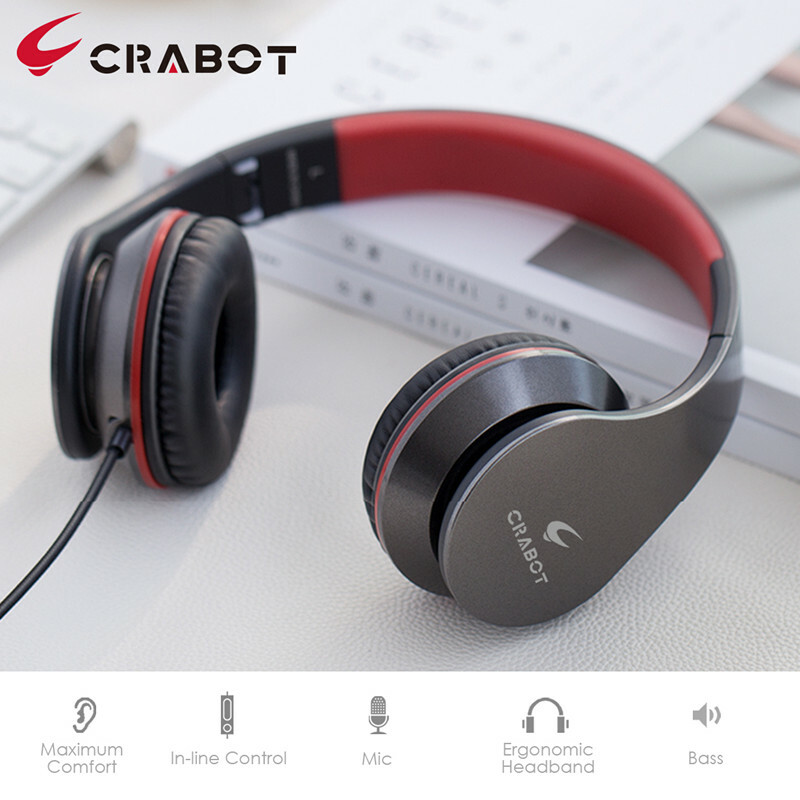 The advanced noise reduction in-line microphone offer you clear hands-free phone calling without interruption. 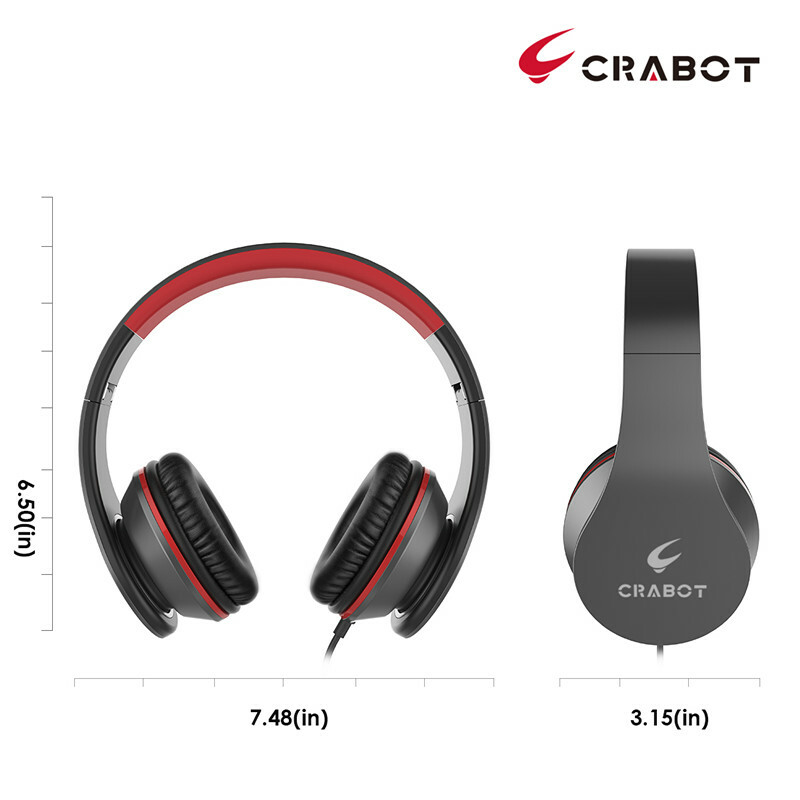 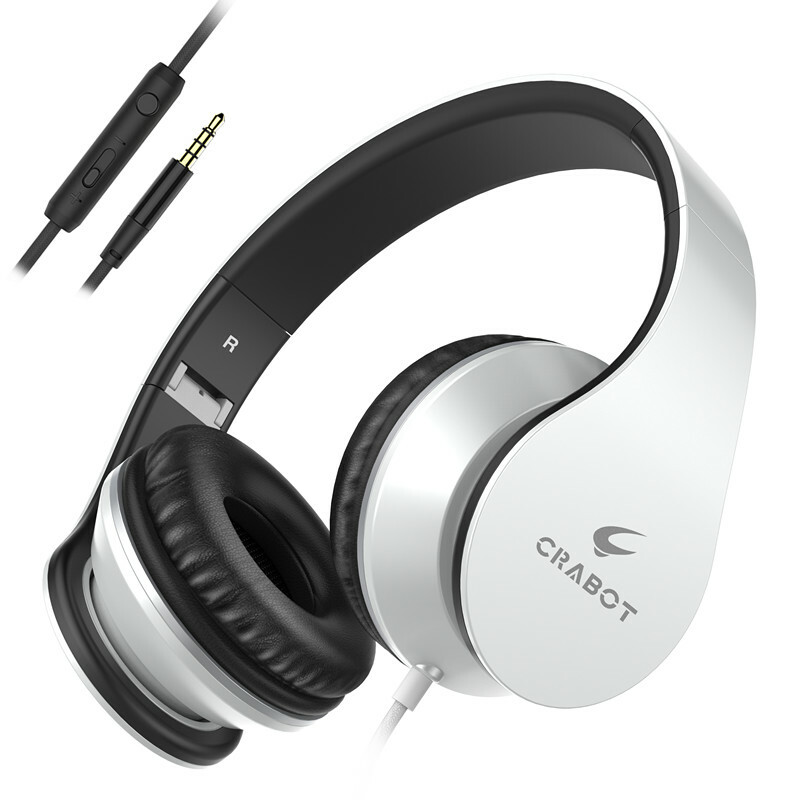 Comfortable Wearing: Soft cushion ear-pads and adjustable headband make the headphone fit well to different head shape and different ear size, comfortable for long time wearing. 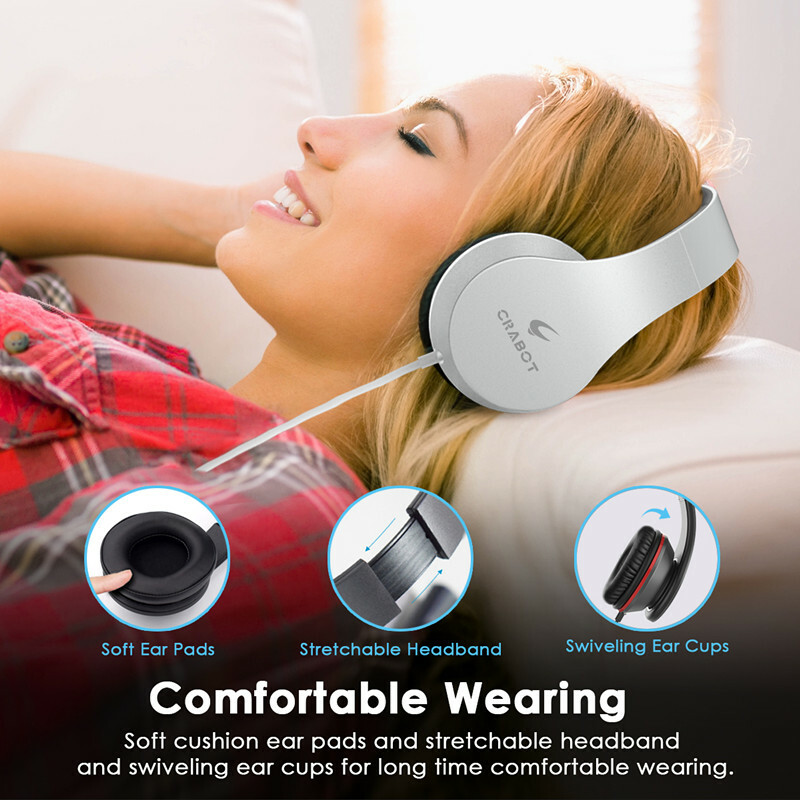 Extremely lightweight feeling in your head enhances the comfort of headphones. 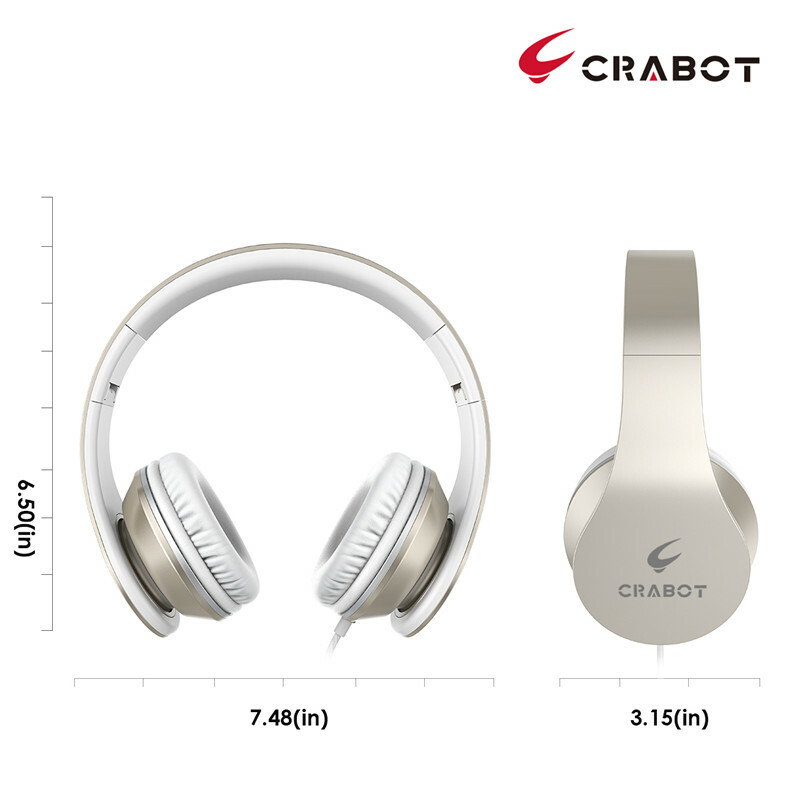 Fit Universal Devices & Tangle-free Braided Cable: Good compatibility, these headphones are easy to work with iPhone, Android cell phones and most devices with 3.5mm jack. 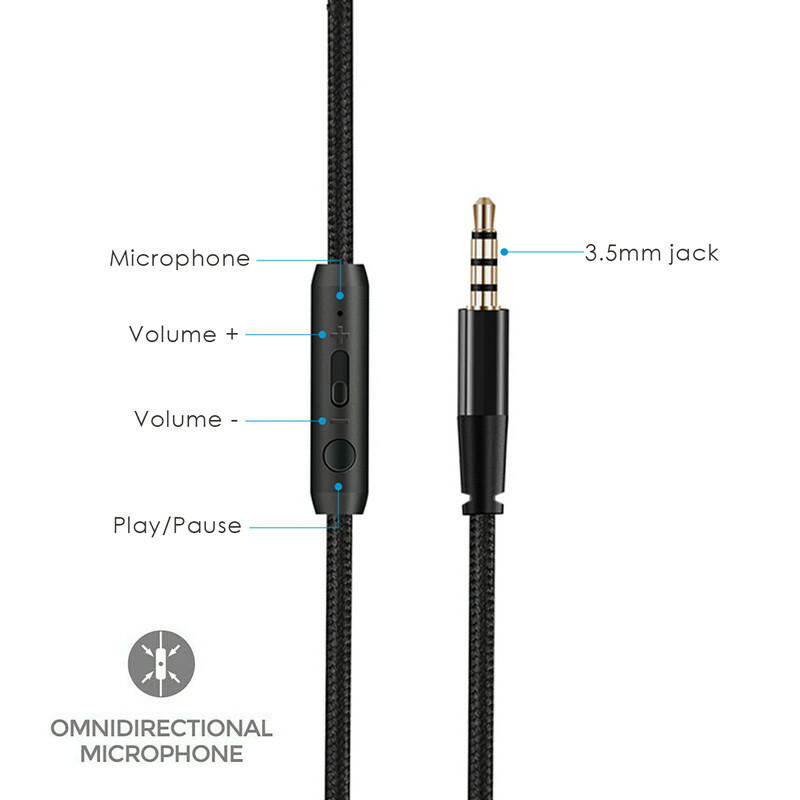 The tangle-free braided cable designed to prevent tangles in both use and storage. 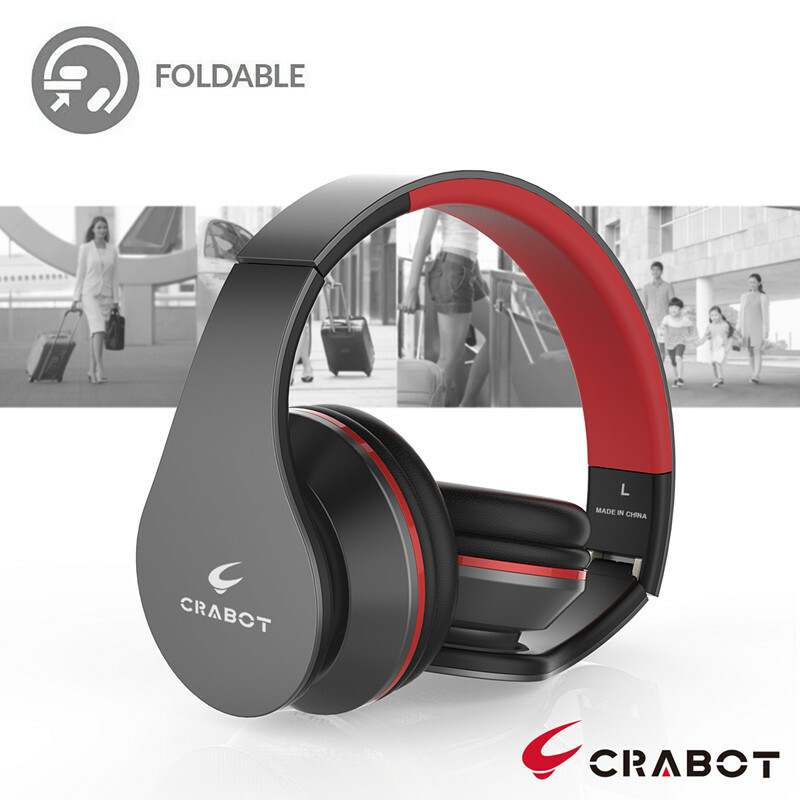 Lightweight Portable Design: Fold up easily and lightweight design makes it convenient to store in your bag. 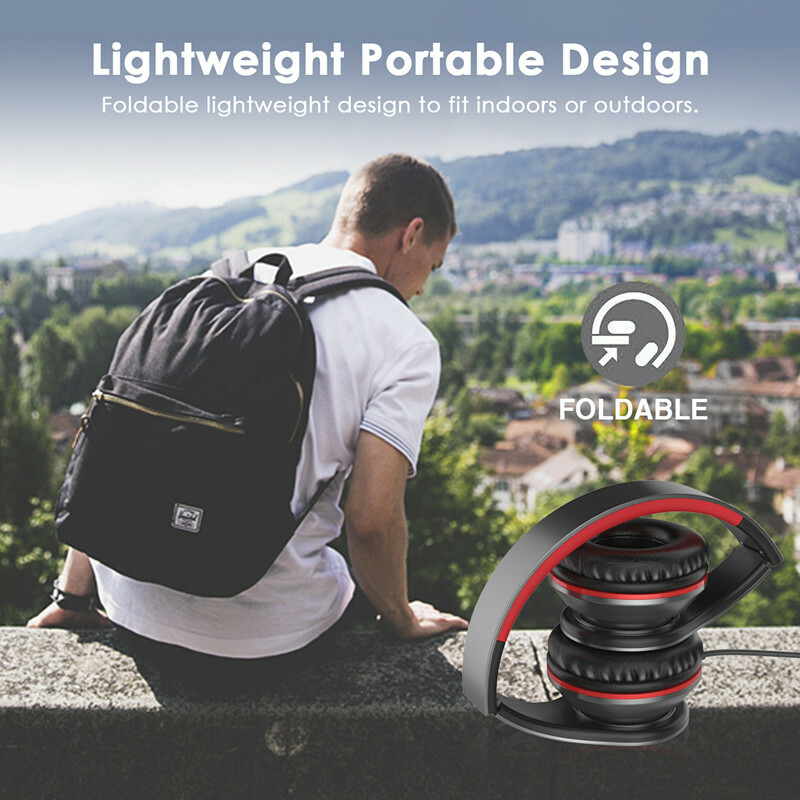 You can take these headphones with you wherever you wanna go, indoors or outdoors, the car, school, work out or outside traveling. 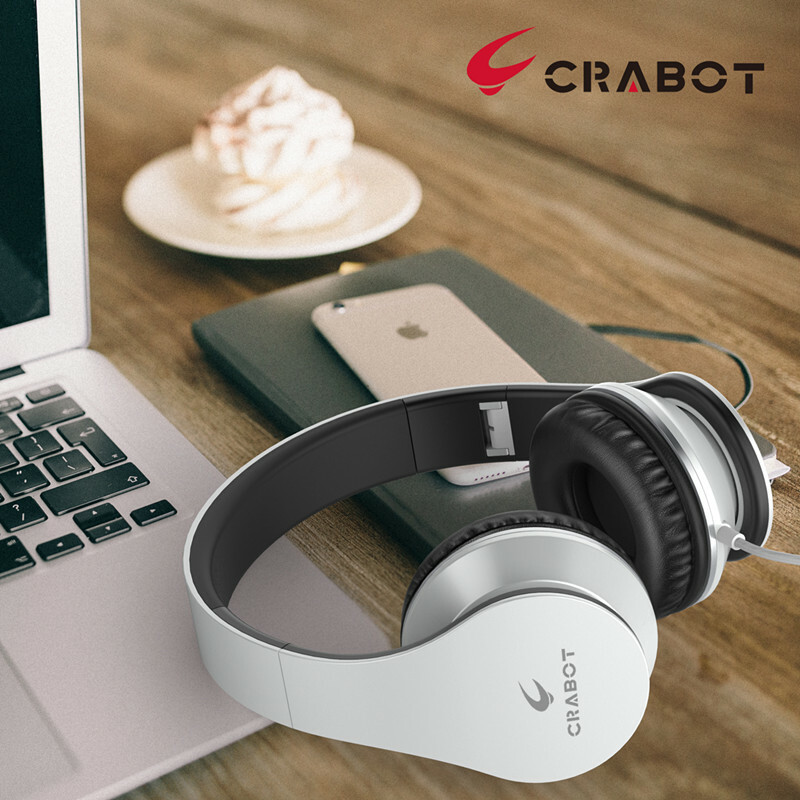 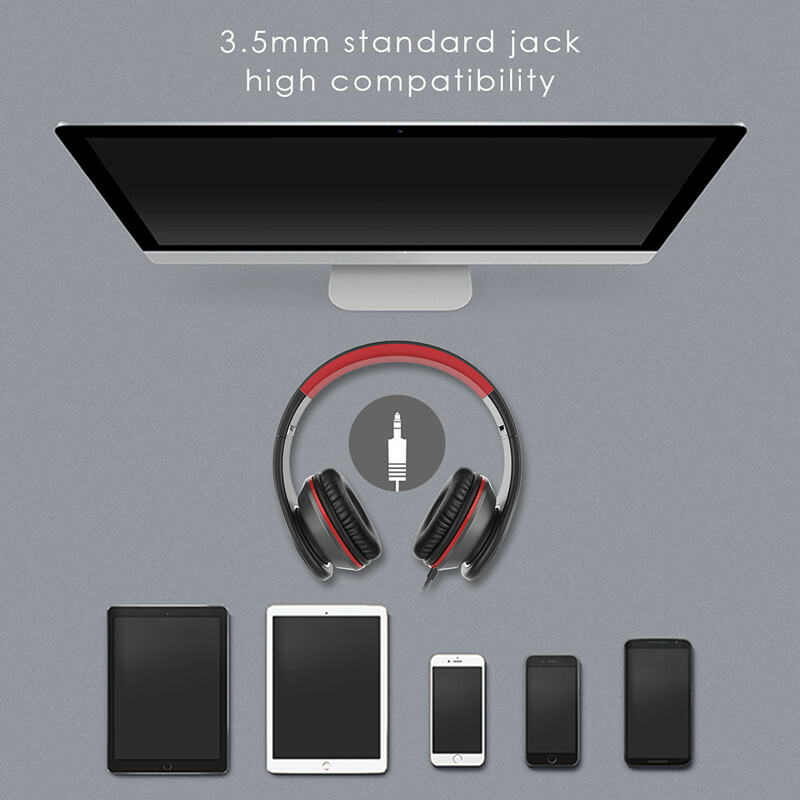 Stylish Appearance & Warranty: Comes with a modern, sleek design that highlights simple but functional beauty. 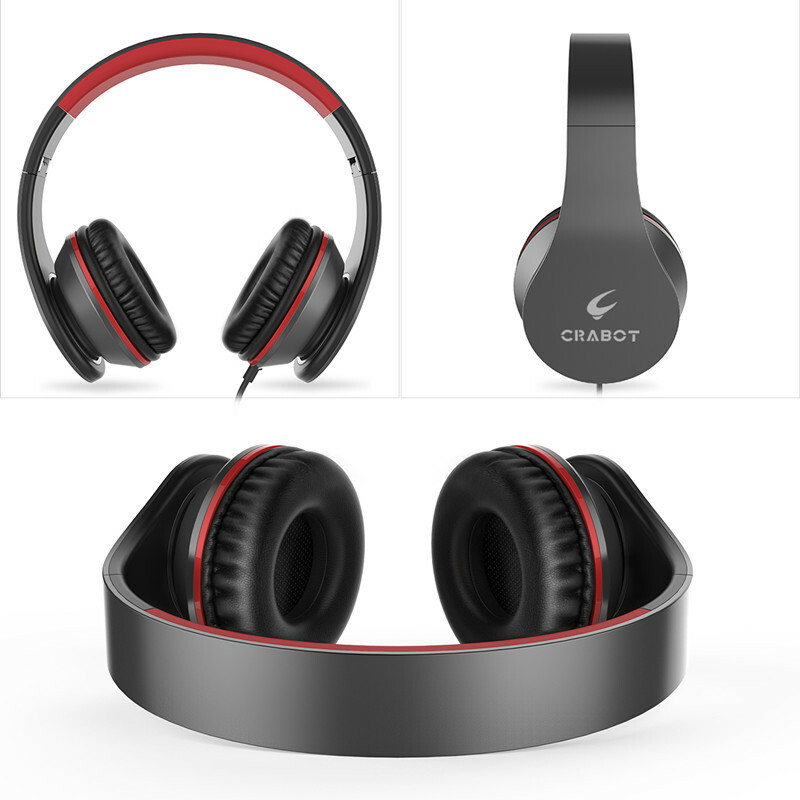 Dedicated customer service team provides you with quick response and friendly customer service. 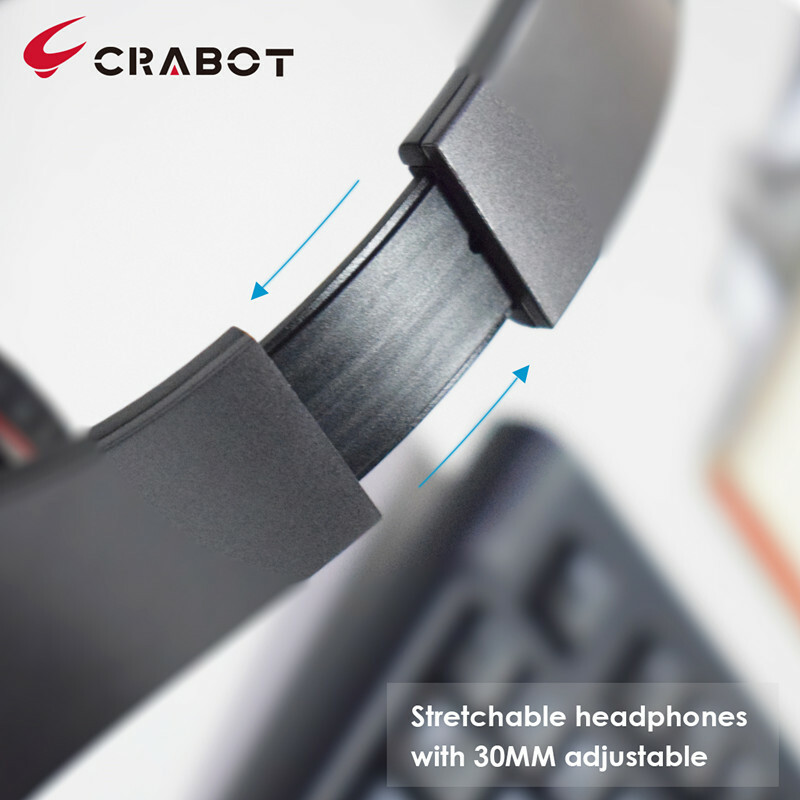 A 7 months warranty is promised.